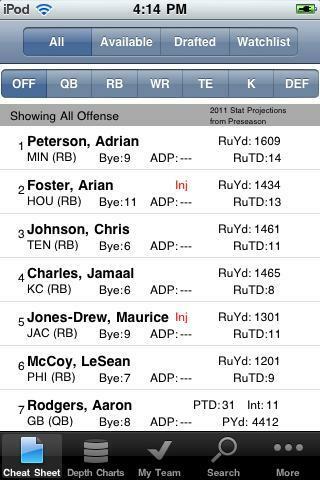 NFL Fantasy Cheat Sheet 2012: one of the best fantasy football apps for iPhone. It has a ton of information and improves your chances of taking your game to the next level. 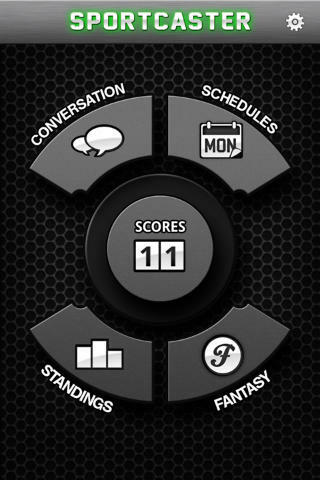 Fantasy Football Monster: one of the most popular apps in this category. It lets you handle all your Yahoo/ESPN/NFL.com fantasy football teams in one place. RotoWire Fantasy Football Draft Kit: provides you with cheat sheets you can take advantage of to master your league. It offers you the news and ton of useful information on players. 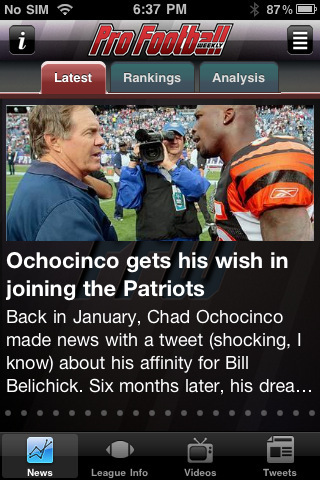 SportCaster for iPhone: if you want to master Fantasy Football, you are going to take time to do some research. This app provides you with live scores and information from Twitter. 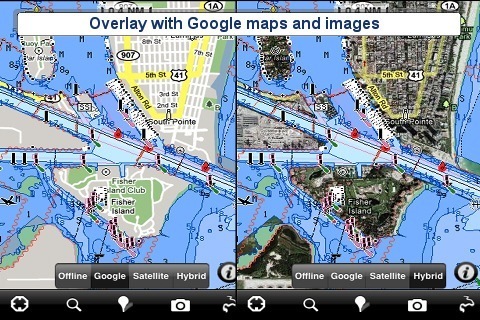 This is a useful tool to have in your arsenal for research. 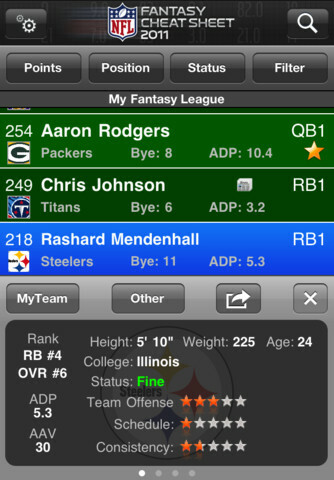 Fantasy Football Insider: another app to make you more productive with your research. It shows you stats, schedules and standings. Football news, rumors, and insider information are covered too. PFW subscribers gain access to premium content. 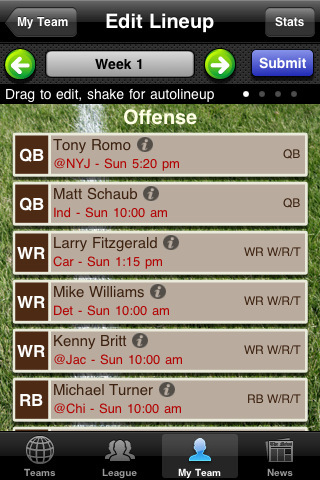 There are other apps you can use to master Fantasy Football (e.g. Yahoo! Fantasy Football). 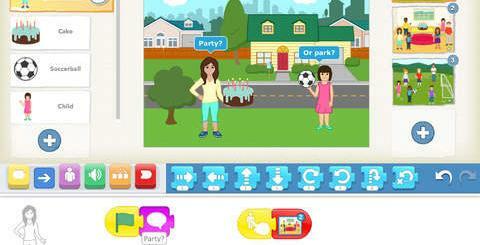 We found the above apps to be stable and reliable. Our main problem with many of these apps is the fact that they make you to pay the full price with each year’s update. While the developers are entitled to do so, giving those who already own these apps from years back a discount would be ideal. 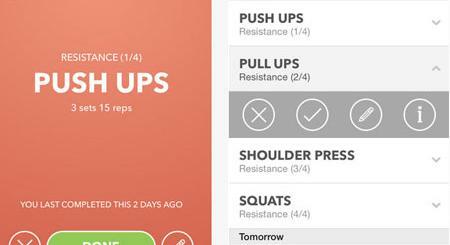 Have you found better apps? Please share them below.